I have no idea where the week went but it flew by. I know I was at work all the usual days and that my evenings were spent knitting at top speed when I wasn't exercising and getting ready for the next day. I have now finished the scarf I've been working on since November 15th and I've figured out what my next two knit projects will be. One of these has already gone bad (hadn't thought about the weight of the yarn specified in the pattern and after the first row realized it isn't going to turn out right. Had it with me at Guild last night and got help from one of our Master knitters, Erika. Who explained why I need to knit a test swatch and what to do when I once I get my stitch count from the swatch. I'm actually excited about this because I hate swatching but now that I see why I need to do it for this project I'm looking forward to having the swatch in hand and doing the math. Math equals excitement? Me?? What sorcery is this?!? In concert news, jebra played only one TubaChristmas gig last Saturday. His original plan was play the one in Flint in the early afternoon and then a second one in Howell that evening. The need for sleep won out and he slept in Saturday morning, which made me happy too as I've not been getting enough either. The Howell gig was outdoors and it was *cold. * Very pretty though and there was a nice gathering of folks for the concert. 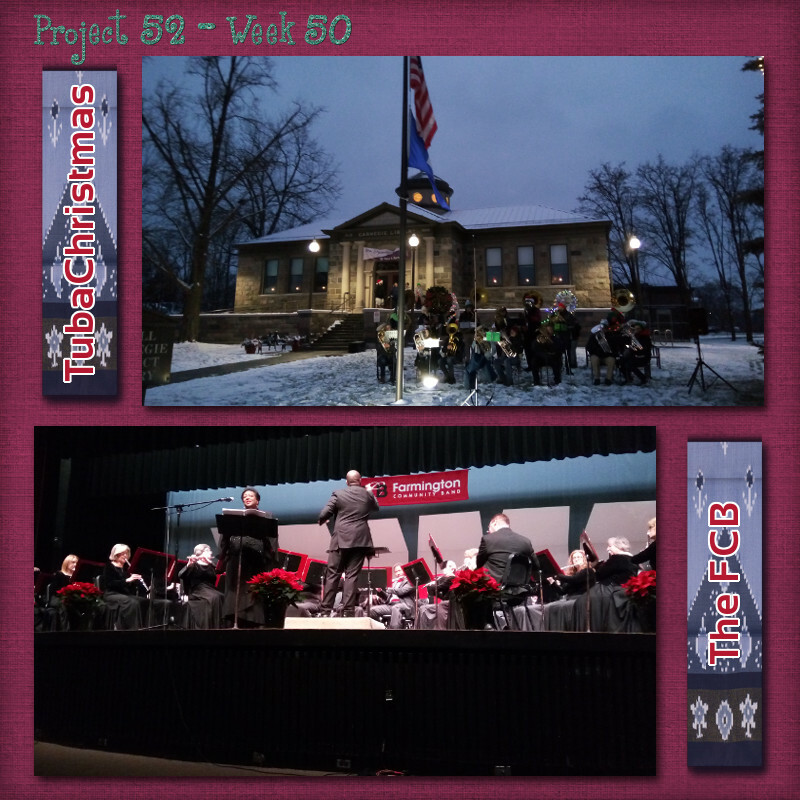 Sunday was the FCB's big Winter/December concert and that went *very* well. They played two pieces which were completely new to me, but having no mind for music I couldn't tell you what one of them was. Might have been "The Dragoons of Villars Overture" or Gibson's "Pegasus." The other new-to-me score was David Lovrien's "Minor Alterations - Christmas Through the Looking Glass which I loved. They ended with Sleigh Ride, which always makes me happy. This entry was originally posted at https://mrs-sweetpeach.dreamwidth.org/953984.html.